Sweepstakes today offers expertise in obtaining online sweepstakes and contest entries for companies. 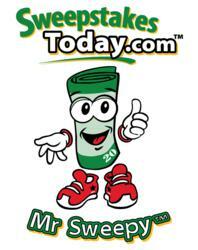 SweepstakesToday.com (http://www.sweepstakestoday.com) announced today that both Walmart and Unilever listed their sweepstakes at the premier online sweeping site. The two companies join hundreds of organizations that have had their sweepstakes, giveaways and contests listed on the site since 2004, it was reported. The real secret to the high rate of return for companies listing their sweeps, he said, is the fact the site embeds the sweepstakes link in text about the contest rather than in banner ads. “Our stats show our members trust the text links much more than they trust banner ads,” McDaniel stated. Sweepstakes Today LLC went live online in March of 2004. The popular online (sweepstakes website) is based in Tulsa, Oklahoma and the custom Microsoft ASP/ASPX programming development is done in Salt Lake City, Utah. The website has now published over 34,000 sweepstakes, contest and giveaways.